It’s been just over a month since Lightning Box Games released its Chicken Fox video slot, but the company seems to be working round the clock and a new five-reel game has just been made public. 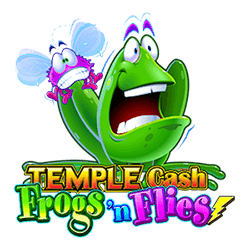 Featuring a jungle explorer theme, Temple Cash: Frogs ‘n Flies gives players the opportunity to leap for jackpots! Lightning Box Games, headquartered in Sydney, has stated that the 1 024 Ways to Win Temple Cash: Frogs ‘n Flies has already been provided to the iGaming business-to-business aggregator of software White Hat Gaming Limited for a dedicated two-week trial. It also provides a thrilling bonus game which triggers when three Temple symbols land between the reels. Players are then tasked with picking a route through the six challenges of the temple in order to reach its summit, which will see a jackpot round activated. Lightning Box Games Chief Executive Officer Peter Causley stated that his organisation’s most recent video slot additionally features a secondary bonus game that could see players receiving as many as 20 extra spins if they manage to land a minimum of three of the Frog bonus symbols. 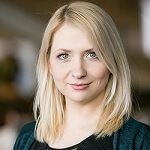 Mike Dearling, Product Head of White Hat Gaming, revealed that the new title is already being made available at a number of his company’s partner domains, including 21Casino.com and TempleNile.com. He went on to say that his firm is delighted to have been giving the chance to access Temple Cash: Frogs ‘n Flies before anyone else and that they were positive players were going to love it.